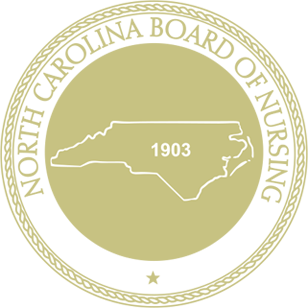 Beginning January 1, 2008, the North Carolina Board of Nursing and the North Carolina Medical Board began a standardized approach to Nurse Practitioner Compliance Reviews. The purpose of the reviews is to ensure that the nurse practitioner is meeting the requirements of the Boards’ rules and regulations. Nurse Practitioners are chosen at random for a review of their practice arrangements to assure that they are in compliance with the laws and administrative rules governing their practice. These reviews are conducted by mail or by site visits by the Board of Nursing. For site visits, at least a twenty-four (24) hour notice will be given before the Nurse Practitioner is visited by a Board staff member, and every effort will be made to accommodate the schedule of the Nurse Practitioner. As stated in the Nurse Practitioner rules, certain information and records shall be maintained and made available to representatives from either Board upon request. Compliance Reviews will provide the opportunity for each Nurse Practitioner to review the Boards’ rules and regulations governing their practice and to ensure that they and their supervising Physician have the necessary mechanisms in place to meet these requirements.